Will the Newport Avenue Marijuana Dispensary Be Forced to Close? The San Diego City Attorney is going after marijuana dispensaries that are within 600 feet of schools. 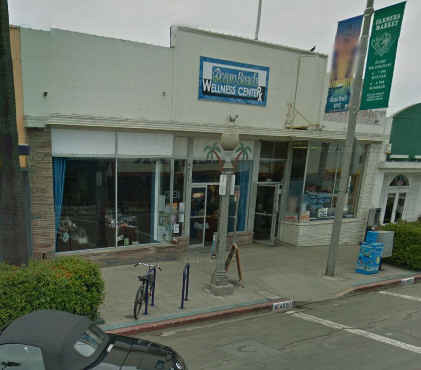 This legal maneuver may very well force the closure of the Newport Avenue herb shop – which is on the 4800 block of the main business street in Ocean Beach, as it is within half a block or so of OB Elementary. The Wellness Center is located approximately at mid-block, and presumably is within the distance that Goldsmith abhors. Jan Goldsmith, the City Attorney, filed civil complaints against a dozen dispensaries on Wednesday, September 21st. Goldsmith is requesting injunctions against the pot collectives for what he calls flouting city zoning laws “in a manner that puts our children at great risk.” “We are asking the court to shut them down now,” Goldsmith declared. The Newport Avenue dispensary is just one; others are located throughout San Diego, including the College Area and Hillcrest. Complaints to code officers are forwarded for review to the City Attorney’s Office. After rescission of the ordinance, the circumstances reverted to the previous standard that no dispensaries are allowed to operate within the city limits, Goldsmith said. …. That dispensary on Newport is MY dispensary! Would not be able to tolerate my debilitating arthritis without it. I am SO damn sick of hearing all this B.S. against these compassionate care centers. Ask parents of kids at OB Elementary if the OB Wellness Center is impacting their school or children. Again, liquor stores can be within a 1000 ft of schools…ummm, let’s talk about how much more detrimental alcohol is to our society. Ridiculous. All you city attorneys can go straight to hell. Oh wait, y’all will end up there irregardless of my wishes!! Mine too, Wellness Center is in my opinion the best of the dispensaries around here. Really pleasant, knowledgeable staff, and they treat you the same whether you have a Cadillac budget or a Schwinn budget. It’s proven to be a great help to me that they’re only a block away, I have constant nausea due to gastroparesis that would be incapacitating without medical cannabis. Complaining that the Wellness Center is somehow a menacing influence, on Newport freaking Ave of all places, is downright absurd. It’s amazing how out of touch and reflexively authoritarian the dingbats that run this city are sometimes. Of course it is, Bonnie “screw the will of the people if it endangers our war on drugs enabled cushy jobs” Dumanis and her cronies make it all too obvious. This asshat must think we’re all stupid. If the intent was to respect state laws on this he’d be looking for interim rules that could keep them OPEN while giving them time to comply with the new legislation you’re trying to enact! There’s one thing worse than a lying public official… it’s the ones who think we’re so ignorant they can lie with such little effort. San Diego, America’s finest conservative cesspool masquerading as a city in liberal California, and it has indeed encroached into OB. What happened to “US out of OB!”? ONE bit of accurate information and the whole story changes. The cops know they are lying. He’s running again. =Liar. And former divorce court attorney and judge. =Liar. San Diego-if you continue to place theives and liars like Goldsmith in office you deserve the schalacking you’re getting with the family court crisis, banning of legal operations, pension scandal, the Dumanis tyranny, Cop Politicians, and the complete failure of public services that you’re getting. I’m a highly educated student of government and history. Our founding fathers would sooner decapitate this thief than vote for him. I vote “No F’ing way” and encourage your careful consideration before voting for this crotchrot lying politician. VOTE GOLDSMITH AND THE GOVERNMENT CRIMINALS OUT!